An eye-opening documentary detailing the trials and tribulations of No-Budget horror filmmaking, featuring some of the world’s leading Directors in the genre! Includes interviews and clips with: Todd Sheets, Donald Farmer, Tim Ritter, Todd Jason Cook, Dustin Ferguson, Lloyd Kaufman, Christopher Seaver, Johnny Dickie, Phil Herman and more! 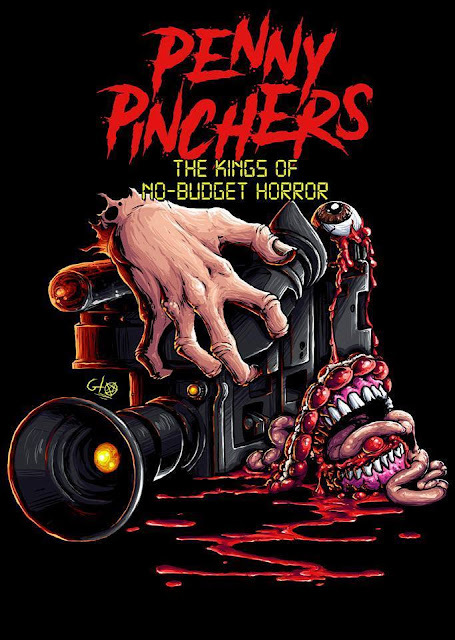 PENNY PINCHERS: THE KINGS OF NO-BUDGET HORROR is out on limited edition Bluray (BD-R professionally run by discmakers) and limited edition VHS now. A wide release DVD will come out sometime around Spring of 2018.